Anna Soubry MP in support of restoring the Bennerley Viaduct! 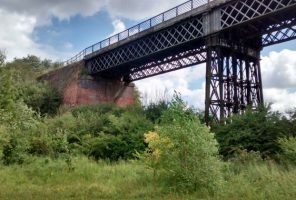 The Rt Hon Anna Soubry MP has come out in support of Sustrans recent application to restore the Bennerley Viaduct in Nottinghamshire. 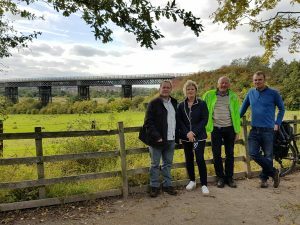 Anna visited the viaduct recently along with Matt Easter (Regional Director for Sustrans), Kieran Lee (Community Engagement Officer for Sustrans) and Bill Tomson (Network Development Officer for Sustrans). The Bennerley viaduct connects both Nottinghamshire and Derbyshire through the Erewash valley. Sustrans have applied to the Heritage Lottery Fund to re-open the Viaduct to cyclists and walkers in particular.